The Domesday Book “Great Survey” of England completed in 1086 by order of William the Conqueror records that the Manor and Village ‘Broad Campden’ previously belonged to King Harold. Sitting at the northern most point of the Cotswolds Way hiking trail Its history goes back far with Neolithic, Bronze and Iron Age remains being found locally, but more is known of the village from Saxon times, with the name ‘Campden’ coming from the Saxon word for valley. 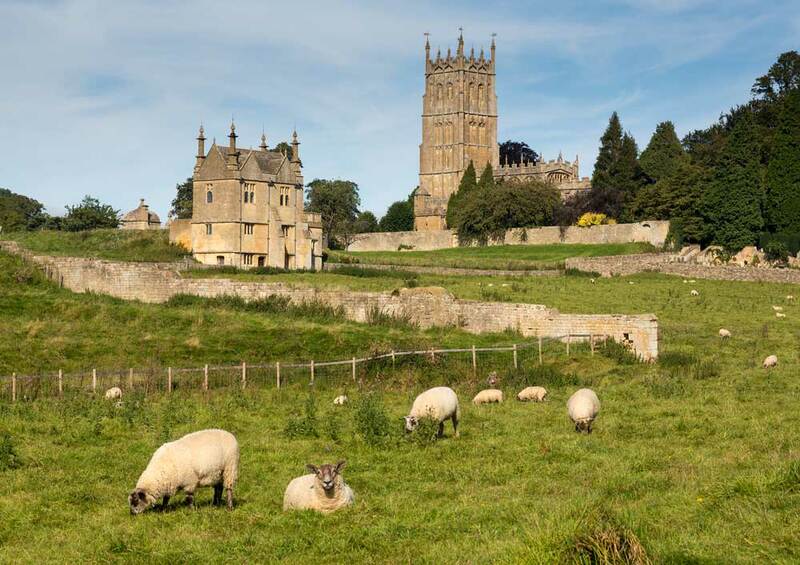 The hills surrounding Chipping Campden were perfect for grazing sheep and the area’s wool became known for its quality with traders from all over Europe coming to the region to buy quality cotswold wool at the towns market at the height of the wool trade boom in the 14-16th century. Wealthy wool merchants such as William Grevel built houses here and his house, built in 1380 is one of the oldest in the Cotswolds region. Money from the wool trade was used to rebuild the 12th century village Church of St James, one of the finest ‘Wool Churches’ in the area. Its mile long high street contains a splendid array of varied Cotswold stones houses and cottages and Chipping Campden is home to more than two hundred listed buildings. William Grevel’s House– built in 1380 by William Grevel, one of the villages wealthy wool merchants its splendid Perpendicular style Gabled two-storeyed window it was the first of a series of beautiful buildings on the high street made from the local honey tinted Cotswolds stone. The nearby Woolstaplers’ Hall was built about the same time by another wool merchant, Robert Calf. Market Hall– built by Sir Baptist Hicks in 1627 for the sale of ‘cheese, butter and poultry’, the Market Hall still stands today. Hicks was a healthy wool merchant who had made his money in the south Cotswolds and London. 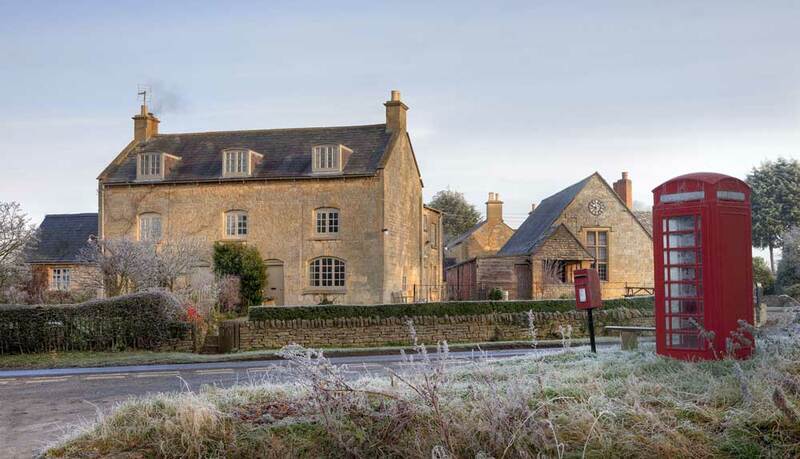 Sir Baptist also built himself the fine Campden House near the church which was sadly burnt down by retreating Royalists during the Civil War to prevent it falling into the hands of Oliver Cromwell’s army. Almshouses– Also built by Sir Baptist Hicks in 1612 at a cost of £1000 these Almshouses were used to house ‘6 poor men and 6 poor women’ and to this day they are still used to house twelve pensioners. Each abode has an upstairs and downstairs room and each front door is shared by two dwellings. Church of St James– one of the great Cotswold ‘Wool Churches’- a fine perpendisuclar building with a 15th century 36 metre tower and beautiful interior complete with medieval embroidery. Badgers Hall Tea Room- quintessential english tea rooms with a good reputation for freshly made food and mouth watering cakes. Lyon Arms Hotel– traditional pub serving a range of international and classic British cuisine with a wide selection of wines and real ale. The Cotswold Grill– informal menu featuring grilled meats, steaks and fish using the seasons and the best suppliers available. Huxleys– intimate cafe and bar on the high street with an excellent wine list, coffee selection and antipasto menu. Why not visit Chipping Campden and other pretty Cotswold villages on one of our driver-guide or cycling Tours of the Cotswolds?